1. 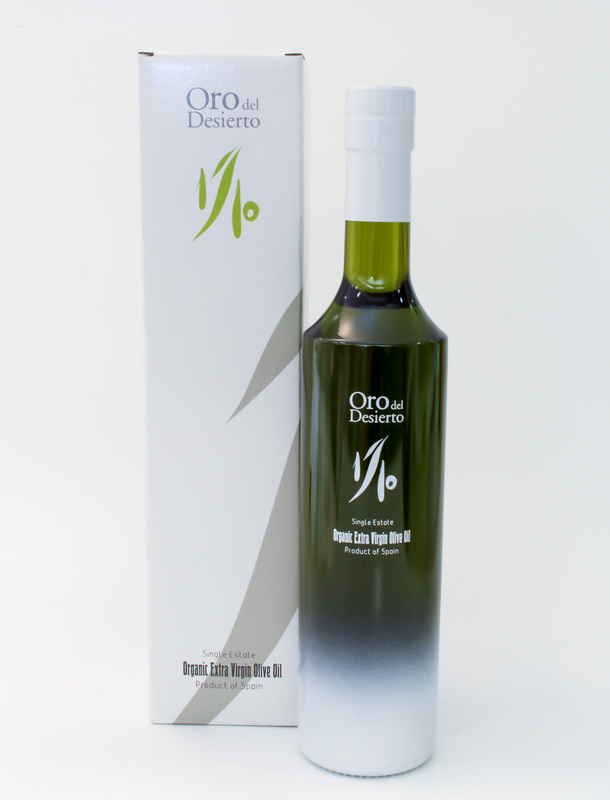 This olive oil is the first oil (1) obtained in October (month nº 10) when the olives are still green. 1/10 is a seasonal product which can’t be found at other times of the year. 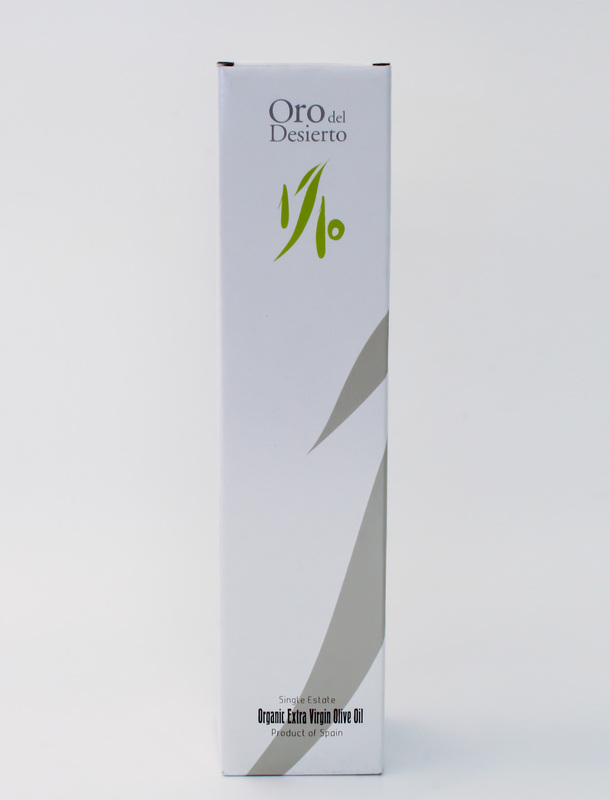 Once the oil decants in the bottle it becomes Oro del Desierto normal range and can be used in the same way. 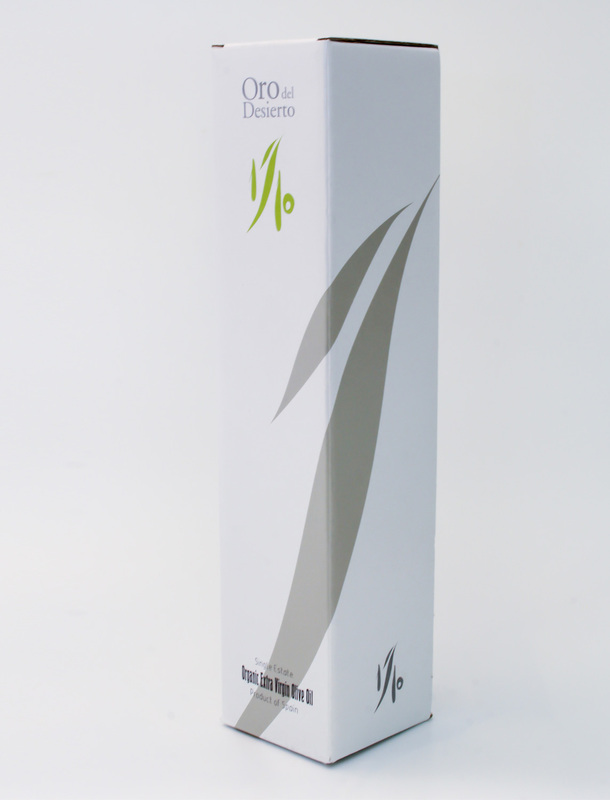 Because this is a limited edition fresh extracted oil we recommend it be used cold for dressings or to dip with bread to enjoy its many properties. During the first 6 – 8 months the oil will remain cloudy because it is an unfiltered product. 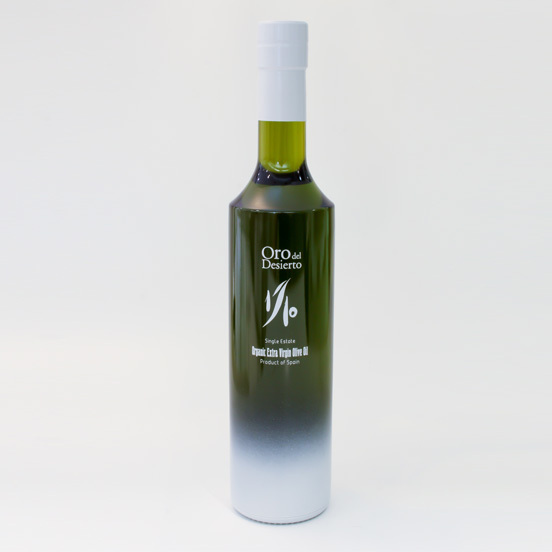 Subsequently the oil will decant and the natural olive sediment will sink. 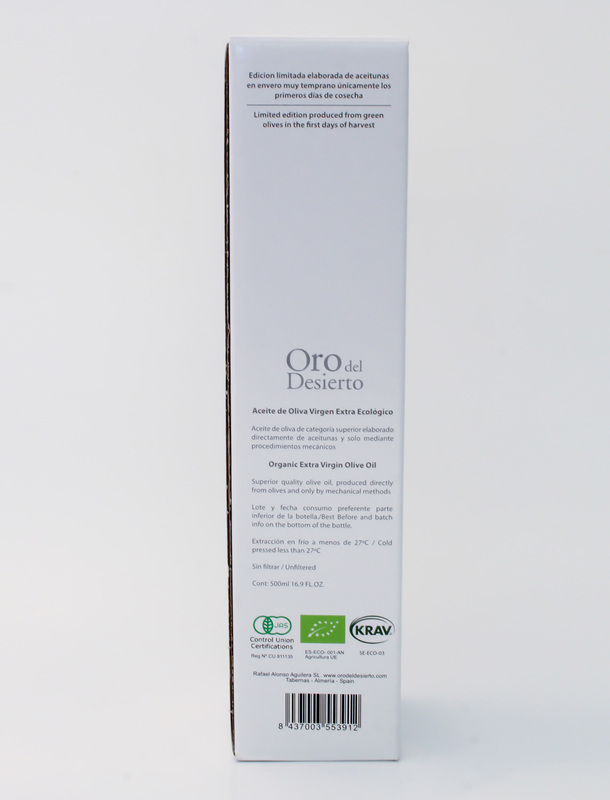 The oil will remain fresh and delicious for 18 – 24 months from the production date but we recommend that you not wait to enjoy the wonderful taste. Limited production. No production until next season.